Your love of the game doesn't end when you step off the ice — hockey players are hockey fans no matter where they are or what they're doing. When you're out on the ice, you want the best equipment possible – so why should you settle for anything less than authentic, pro stock jerseys and accessories off the ice? Superior craftsmanship and durability; spills and stains can't stand up to the high-quality materials. 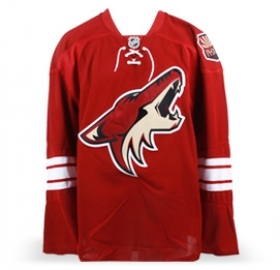 Choose from home, away and goalie-cut jerseys. Wide selection of practice jerseys (both new and slightly used) for a unique look. 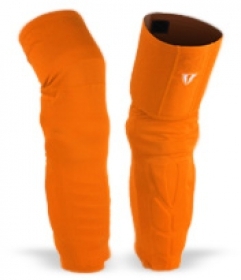 Beyond a jersey, however, there are hockey accessories that can help take your love of hockey to the next level. Start with team-logo laundry bags that will handle even your sweatiest, smelliest hockey gear, and then go for team stock shower bags to help you make the transition from high-energy player to clean and friendly fan. Don't forget hockey tape — the same colors, widths and types used by NHL players to create the perfect grip. As important as it is to look good on the ice, it’s also worth thinking about what you put on when you leave the rink. Try a pro stock t-shirt, captain's jacket or ball cap to show everyone that you’re a pro stock player through and through. If you've got kids who are also ice junkies, there's always room for a Warriors Coach Equipment bag to help you transition from player to leader. Everything you (and they) need in one place, with the kind of team branding and high-quality construction you expect from Pro Stock Hockey equipment. High-performance sticks, skates and protective gear are critical to your success on the ice, but don't neglect your passion at home and in the stands — treat yourself to the right accessories at the right price. 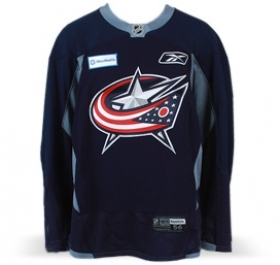 All kinds of NHL team-branded and Pro Stock Hockey-branded shirts, pants, jackets, and sweatshirts. You can’t find these authentic NHL items in just any retail store. Jerseys, jerseys and more jerseys. We’ve got game and practice jerseys from NHL teams — enough for you or your entire team. Remember: our inventory is continually changing as we get in new shipments of merchandise, so check in with our store regularly to see what’s available. If you don’t see what you want, it may be there tomorrow. Got socks? If not, we can fix you up with a rare pair of authentic NHL socks right here. Something we call Stench Control is a group of products you’re sure to be interested in if you are a hockey player … or come to think of it, even if you just shower or wear clean clothes! We’ve got laundry bags, shower bags, and other hockey accessories with NHL branding – these make the perfect gift for that hockey-loving friend, coworker, or family member. Finally, we’ve got all sorts of miscellaneous hockey accessories – the things you always need but never seem to have. We’ve got visors, tape, skate fenders, and more. Be prepared for anything and everything that might happen at the rink by stocking up at Pro Stock Hockey. GET SPECIAL DEALS ON HOCKEY ACCESSORIES! At Pro Stock Hockey we love to run special sales promotions, and many times you can get discounted hockey accessories or free accessories with (and sometimes without) making a purchase. To stay up to date on upcoming deals, connect with us on Instagram, Facebook, Twitter or Google Plus, and subscribe to our Pro Stock Hockey newsletter. Remember: Our hockey accessories are unique products that make terrific gifts for teammates, friends and family members who live and breathe NHL hockey!